PLUS!!!!!! Because of the unforeseen lost shopping time for the sale hand-dyed yarns, we have extended Fridays sale to Monday, March 31 at 12:00 as well! Blue Heron Yarns, your source for quality unique hand-painted yarns. Using a unique blending process, Cherry Tree Hill artisans individually hand dye and hand paint yarn at their studio in the Green Mountains of Vermont. Cherry Tree Hill take great pride in providing you with only the highest quality yarn. 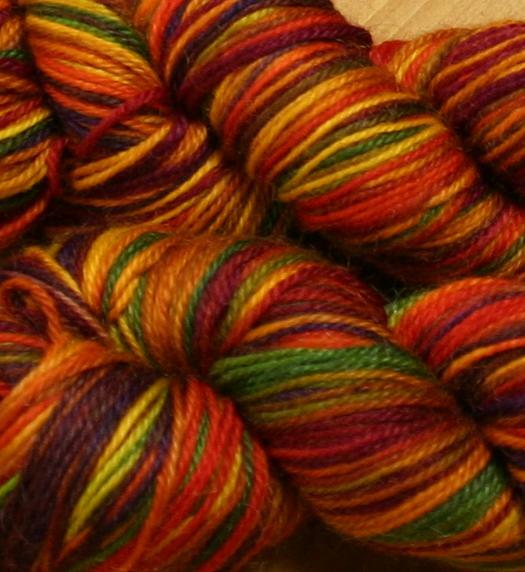 Interlacement Yarns claim to fame is how their clear colors mingle to create additional striking colors. The colorways that they have developed are as bright as the industry has seen. Sale is for in-stock only for the Interlacements Yarns. 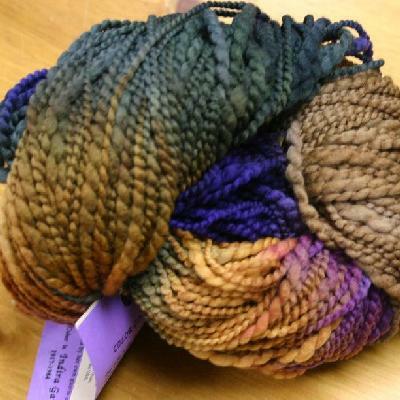 A great selection of hand painted and hand dyed yarn by Ivy Brambles. "Our hand dyed yarns are painstainkingly created from observations of nature, and selection of only the finest yarns and dyes available." Mountain Colors is celebrating their 16th year in business! They started in 1992 with four yarns and seven colorways and their number of yarns has grown to 15 and they have increased their colorways to 46 luscious colors that have been in inspired by the mountains, rivers and woodlands that surround them. The Schaefer Yarn Company has been hand dyeing variegated yarn since 1980. Each and every skein of yarn is still individually hand painted, just as it was in the beginning. Schaefer Yarns originated hand painted yarns! The result: 36 unique colorways available in all of our wool and wool blend yarns, plus 18 colors in the finest pima cotton in the world, Laurel, and a lovely cotton/rayon blend, Sandra. Their silks, Patty and Andrea, are available in 53 colors. Schaefer is thrilled to introduce the latest fiber to their line, Martha, a luxurious blend of lambswool, cashmere and dehaired angora. Website reflects sales prices for sale yarns. Please allow several weeks to process backordered yarns from the hand-dye companies. We will accept backorder orders on most of the lines above - Ironstone Yarns sale prices are for in-stock only.